Interior Warehouse Striping & More! 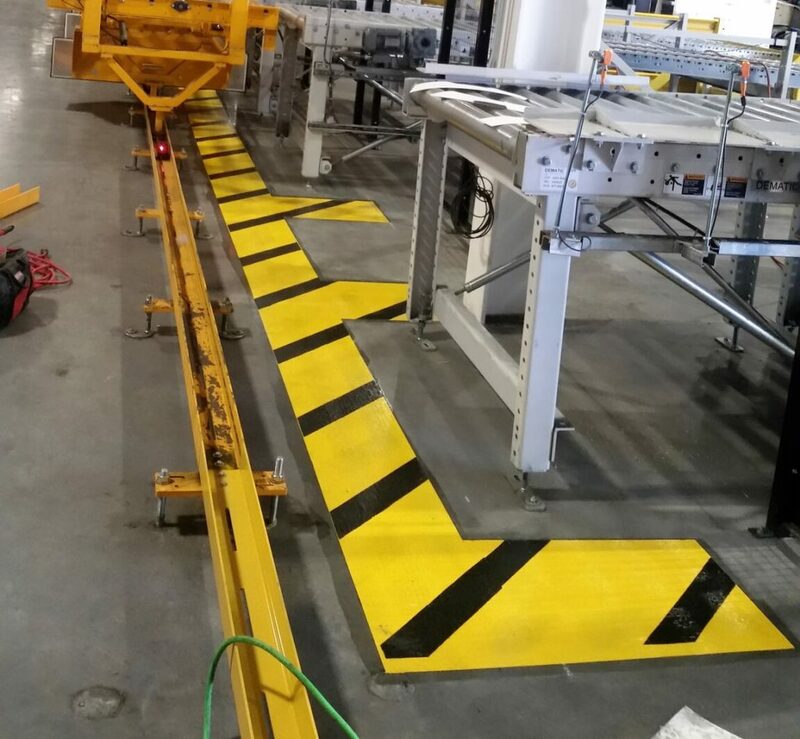 We specialize in both interior warehouse painting and striping, safety walkways, safety improvements, organization, high visibility tape and more. We commend you on taking the initiative to maintain a safe work environment. When it comes to your safety, we don’t take shortcuts neither with our quality of workmanship or our crew members. Each of our crews are highly skilled in minimizing the disturbance of your business to ensure your warehouse or facilities remain fully functional during the project. Our crews work nights, weekends, and even holidays to respect your customers and your hours of operation. Our project estimates and new lot layouts are always free. For new parking lots, ADA signage, to re-striping mega complexes our team is ready for your call. We guarantee to get your project done right the first time. Columbia Basin Striping is a U.S. Veteran owned company. We are licensed, bonded and insured. Interior warehouse striping, safety walkways and more!